Last week the cards said that signs of growth were illusory, futile and would lead nowhere. Bitcoin promptly ignored that and grew 10% in a week, mostly today. 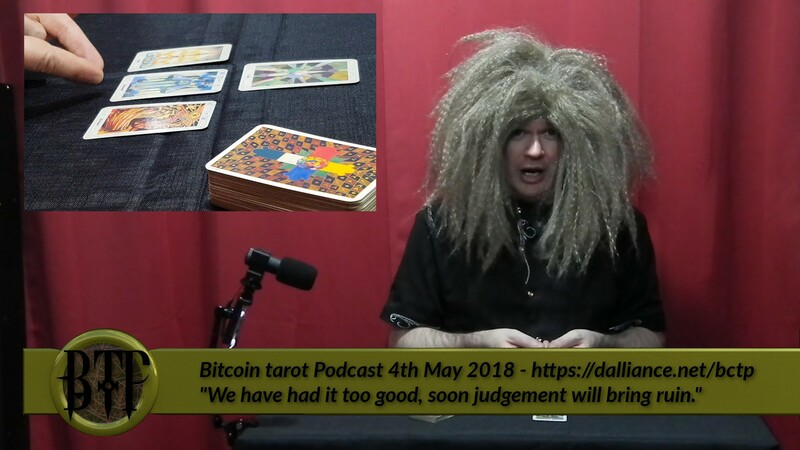 This week, Cosmic Conroy makes his excuses then reads the cards finding that we have had it too good, and soon judgement will bring ruin. Synopsis: We have had it too good, soon judgement will bring ruin.